An Indigenous family have released images showing how corrective services left an Aboriginal man on life support in ankle chains. 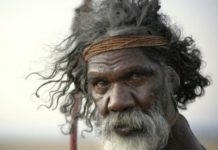 In July of this year, Eric Whittaker became yet another Aboriginal death in custody just 7 days after being arrested while living homeless on the streets of Sydney. It is hard enough for the family to deal with this pain of losing a loved one. But the shocking images of a lifeless young man in shackles continue to haunt the family. Family and members of the wider community feel that his treatment was degrading and more like the treatment shown towards an animal. They have now released the images in the hope that it will result in change towards the way Indigenous people are treated. 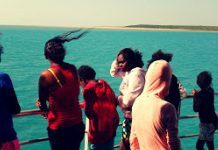 Disparities between the way Indigenous and non-Indigenous people are very evident across many public services in Australia. We hope that shocking images like this can serve as a wake up call to those involved in the corrective service sector as well as other public sectors such as health and education. 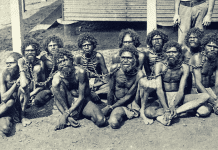 According to a report by the Sydney Morning Herald, corrective services initially refused to follow the requests to remove the shackles, however they now say in hindsight that there would have been no issue to remove them. This comes as little comfort for the family however who are still unsure about the exact cause of death after different family members were told very different accounts of what happened to the man at the US owned Parklea prison in Sydney. UPDATE: A protest was held in Sydney shortly after this story broke.